Agilent Technologies said today it has won expanded use for its Dako PD-L1 IHC 28-8 pharmDx test in Europe for an additional oncology indication, urothelial cancer, in patients who are most likely to benefit from treatment with the Bristol-Myers Squibb (BMS) marketed cancer immunotherapy Opdivo (nivolumab). PD-L1 IHC 28-8 pharmDx is a qualitative immunohistochemical assay using Monoclonal Rabbit Anti-PD-L1, Clone 28-8. The test is designed to detect PD-L1 (programmed death-ligand 1) protein in formalin-fixed paraffin-embedded (FFPE) tissues of tumor cells for specific cancers. CE marking demonstrates the product meets all applicable European Medical Device Directives. With the expanded CE marking, Agilent said, Europe becomes the first region in the world to launch a test for designed to assess which patients with urothelial cancer are most likely to benefit from Opdivo. Opdivo indications include treatment of previously treated locally advanced unresectable or metastatic urothelial cancer in adults after failure of prior platinum-containing therapy regardless of PD-L1 status. In October 2016, BMS disclosed data from the Checkmate 275 (CA209275) clinical trial showing Opdivo had a confirmed objective response rate (ORR)—the study’s primary endpoint—of 19.6% in platinum-refractory patients with metastatic urothelial cancer. The test received earlier CE marking for use in patients with non-squamous, non-small-cell lung cancer (NSCLC), melanoma and, as of last month, squamous cell carcinoma of head and neck (SCCHN). Europe’s approval came after PD-L1 IHC 28-8 pharmDx was approved for use with SCCHN patients in Japan. The FDA approved the use of PD-L1 IHC 28-8 pharmDx in NSCLC in October 2015. Three months later, the agency expanded its approval of the test to include use in melanoma. According to Agilent, PD-L1 IHC 28-8 pharmDx now has more clinically validated tissue indications than any other commercially manufactured PD-L1 assay on the market. 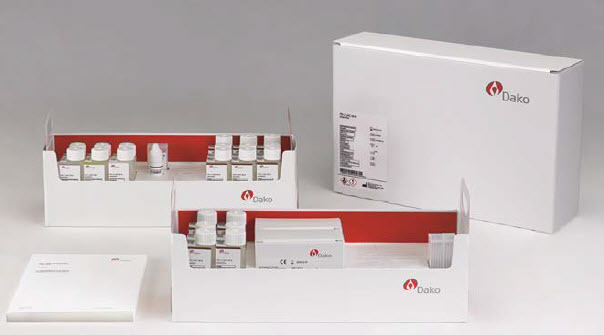 Agilent acquired Dako in 2012 for $2.2 billion.